Disclosure: I received samples to facilitate this review as well as a Starbucks Gift Card. As always, this review contains my honest opinions. The kids are back to school and there are moments now when the house is silent for a change. Walking out on my deck, I hear the birds singing as the crisp nearly-fall air moves in. The perfect time to sit back and relax and enjoy a cup of Starbucks Fall Blend. Its bold, robust taste still has the citrusy overtones found in Pike Place Roast or Spring Blend, yet the Sumatran beans offer a strong, spicy note, warmed by Peruvian beans that add a bit of nuttiness. I prepared the coffee three different ways - traditional drip, pour-over and via a press. The press produced the best results. While everyone’s palette is different, this blend is a little bolder and heavier than the Spring blend. I enjoyed the warmth of the flavor that seems to blanket me on a cool morning. I would recommend the Starbucks Fall Blend, especially for coffee drinkers who enjoy a slightly bolder blend but also want to retain some of the lighter, citrusy overtones found in Pike Place Roast or the Spring blend. 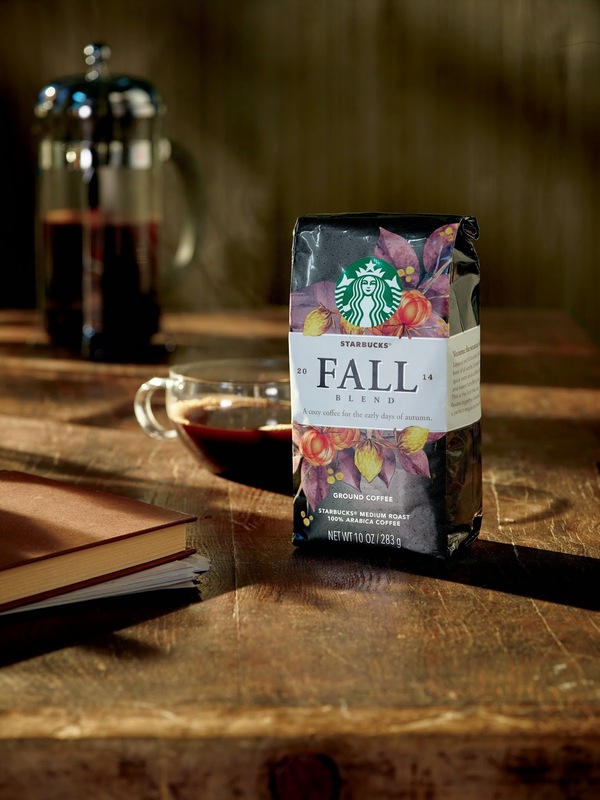 The Fall Blend is one of three limited-time only, seasonal blends that is offered by Starbucks and is available this fall season exclusively at major grocer stores for $8.99 per 10 oz. package.